I'd like to send out a very heartfelt thank you to all who have posted on this site, your knowledge was so extremely helpful in enabling us to make an informed buying decision. 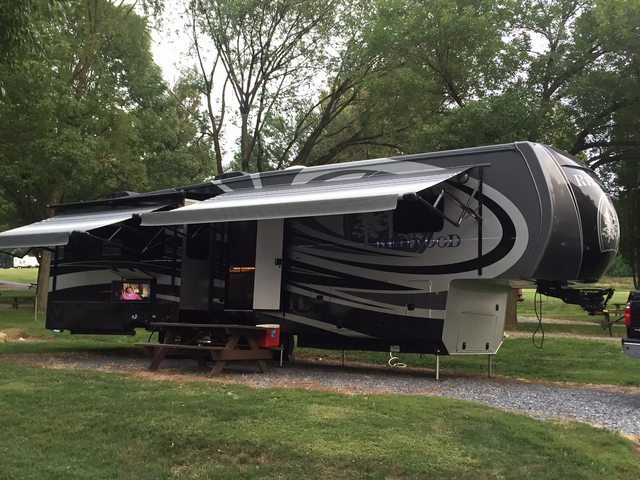 We spent last weekend in our "brand new to us" 36FB. This is our very first RV and as you can imagine it is all very overwhelming, but I rest easy in knowing that there is such a great community out there to help us along the way. These folks here are the best , they were also very helpful getting my questions answered.. Welcome to the family and Happy Camping ! ! Dan, welcome to the group.....like most families, there's a little teasing or arguing sometimes....... but in the end these folks will have your back and will help you through most any problem with the Redwood. This is a great bunch of people. Welcome. Since we bought our RW I have been able to find a lot of info on these rigs off of the forums. Everyone has been great in answering any questions that someone may have.